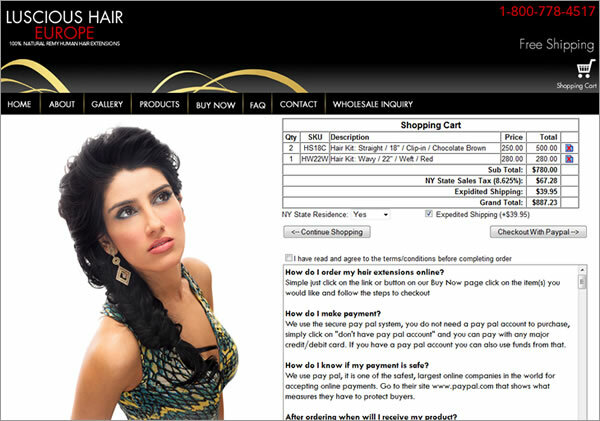 Luscious Hair Europe - Incorporated a fully functional shopping cart with existing graphic design for this ecommerce store selling hair extensions. This has the full features of a shopping cart but also the inexpensive fees because you checkout using PayPal. All items that you add to this cart are carried over to PayPal for final purchase.